What is the Atlantic Food Export project? 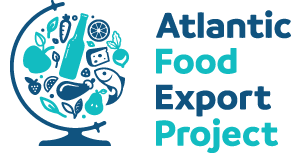 Atlantic Food Export project (AFE) helps small to medium sized food producers access and develop sales strategies for overseas markets, particularly in the Atlantic regions. Through a programme of supports including mentoring, training, networking and events the participating companies research new markets, test their products, develop know-how, contacts and partnerships that will be fundamental to successful export sales. The Atlantic area is seen as a first step for startups to discover new markets, to benefit from training to test their offer, and to start business. Over the next two years (2018-19) over 100 food company participants will work together to overcome any barriers which have hampered their export growth in the past. Through training, mentoring, marketing assistance and logistical support, the programme will help Food companies to develop the management skills required to trade in key International export markets. In addition to sales growth, the programme aims to stimulate additional jobs within participating food companies and also up-skill SME’s. Companies will be grouped into market-specific food clusters and embark on a schedule which includes knowledge exchange, management practice training and support combined with market visits. 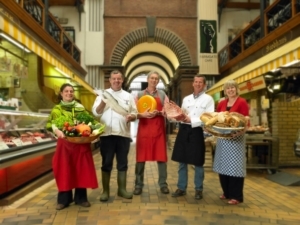 How does AFE support food exporters? The project offers a blend of one to one and group supports to local food companies, including training and mentoring to develop export plans and sales materials. The project will facilitate and support joint actions between food producers from the partner regions, potentially including trade show attendance, trade missions to 3rd countries and innovation in product or service development.